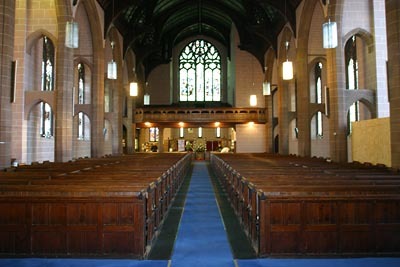 The Church viewed from the Gallery. 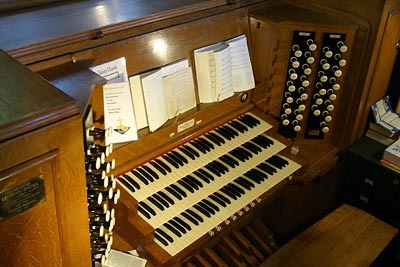 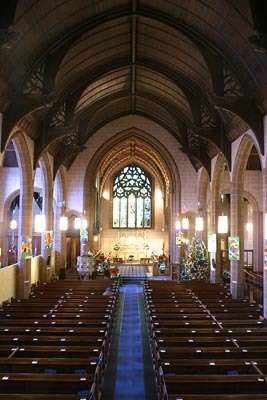 Looking West from the Sanctuary. 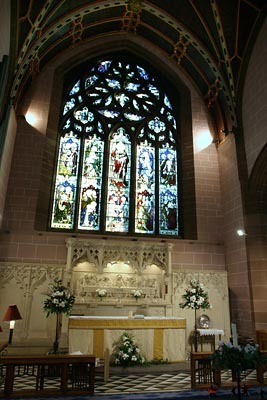 View of the Altar and Reredos. 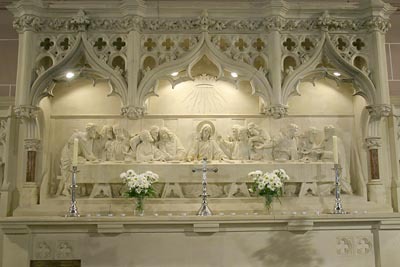 A close up of the Reredos. 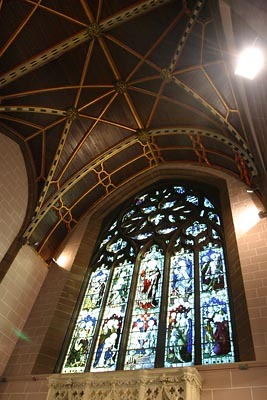 Looking up at the Sanctuary Ceiling. 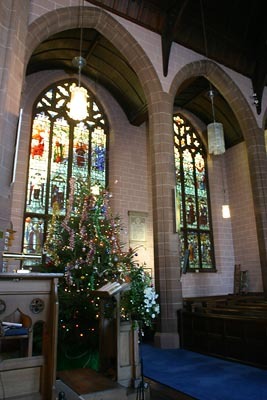 The Grade II listed South Transcept Windows.